In New Jersey, the owners of a dog are responsible to make sure the dog is under their control at all times. Unfortunately, sometimes those dogs are not and they bite people. When that happens we will make a claim against the owner’s insurance company for the damages that you have for your injuries, suffering, medical bills, your lost wages, and any other damages that you may have. 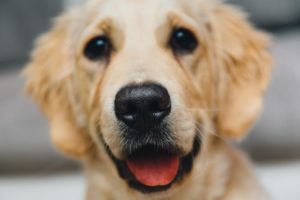 If you are bitten by a stray dog, it is important to call the police department or animal control and seek medical attention immediately because there is a larger possibility that the dog does not have its necessary vaccinations. In some states, there is breed-specific legislation in place that requires owners of pit bulls or partial pit bulls to register their dogs and have insurance for those animals. In those states, if you were to be bitten by a pit bull, the owner is automatically responsible for paying for all of your medical expenses, loss of wages and pain and suffering. In New Jersey, the passing of breed-specific legislation has been prohibited as breed discrimination. However, New Jersey does require all dog owners to have a license that is placed in a tag on the dog’s collar proving that the dog has been registered in the state. Dog owners in New Jersey must also ensure that their dogs have been regularly vaccinated for rabies.